American Horror Story Drops Terrifying Teaser and Title for Season 9It’s called 1984, and there are no witches or Evan Peters. The Better Things Kids Aren’t Really Sisters, But They’re Still FamilyTalking with Mikey Madison, Hannah Alligood, and Olivia Edward about growing up on the FX comedy. 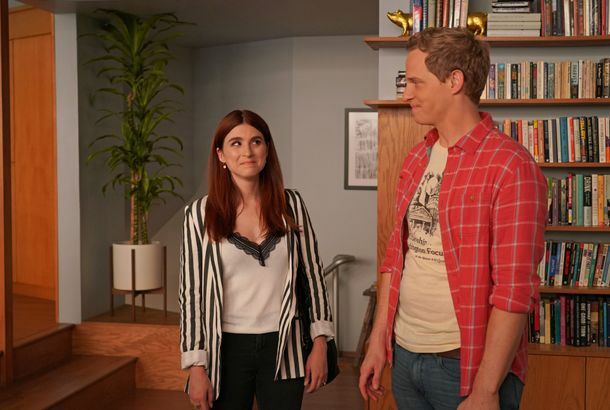 Saying Good-bye to You’re the Worst With Aya Cash, Chris Geere, and Stephen FalkIs Gretchen and Jimmy’s finale romantic or cynical? For the creator and stars of the FXX comedy, it’s a no-brainer. 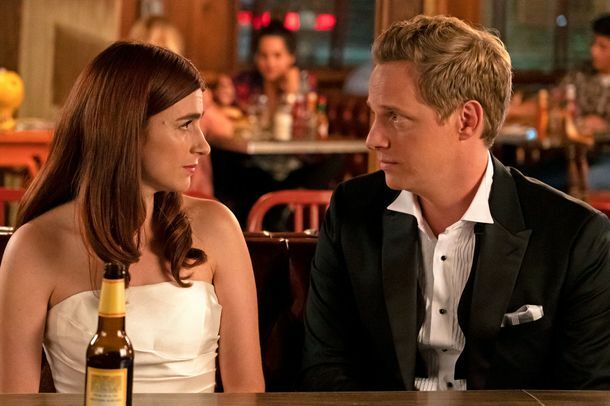 You’re the Worst Nailed a Simply Perfect FinaleThe anti-rom-com rom-com ended exactly the way it should have. If You Liked What We Do in the Shadows As a Movie, You’ll Love It As a TV ShowThe FX spinoff of Taika Waititi and Jemaine Clement’s vampire comedy is silly, mildly perverse, and appealingly low stakes. A Good Thing: FX Orders More Better ThingsSeason four will debut sometime next year. Lil Dicky Gets Comedy Series Order at FXProduced by Kevin Hart. 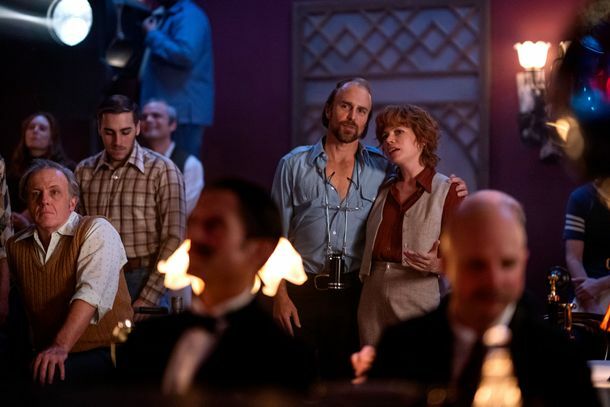 FX’s Fosse/Verdon Trailer: More Michelle Williams. Sam Rockwell. Jazz Hands.You’re going to pop and squish over this one. Pamela Adlon’s Better Things Returns Stronger Than EverEven when the characters are making a mess of things, it’s a pleasure to watch because so much care and thought have gone into each frame and line. Atlanta’s Third Season Will Be Delayed, and You May Cry Out to the Heavens NowJohn Landgraf of FX broke the news to America today. Here’s Your First Look at FX’s What We Do in the Shadows SeriesYour new favorite show about Staten Island vampires debuts in March. Minnie Driver Still Isn’t Over FX Cancelling The RichesAnd she claims it was about more than ratings. Almost 500 Scripted Shows Aired in 2018, But We Still Haven’t Hit Peak TVFor the first time in TV history, streamers like Netflix and Amazon had the biggest share of scripted production in 2018. Every American Horror Story Crossover in ApocalypseFrom the Coven and the Murder House to the Hotel Cortez. 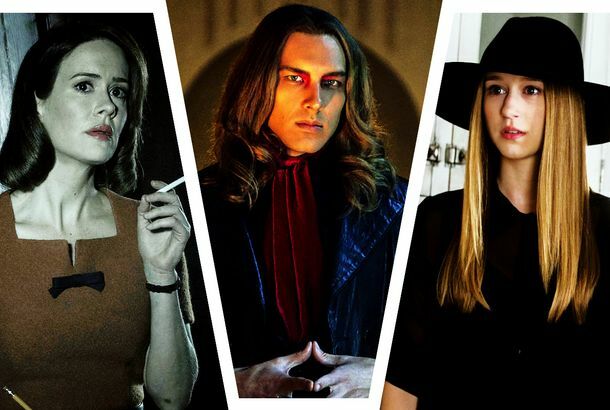 Every American Horror Story Season, Ranked From Worst to BestHow does Apocalypse stack up against the best AHS seasons? American Horror Story: Apocalypse Finale Recap: The End Justifies the MeanIt’s the Antichrist’s blood-soaked last stand as the season comes to a close in peak AHS fashion. American Horror Story: Apocalypse Recap: All My Friends Are DeadAs the apocalypse draws nigh, humanity’s last hope may be … time travel? AHS Apocalypse Recap: Are You There Satan? It’s Me, MichaelA very special Halloween episode of American Horror Story. FX Passed on Broad City Because It Was Deemed Too ‘Girly’“We were devastated,” Abbi Jacobson writes in her new memoir. 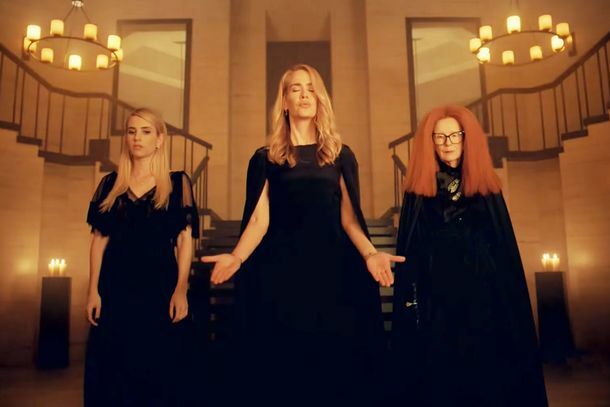 American Horror Story: Apocalypse Recap: I Got the Voodoo for You WitchesAre Cordelia’s powers fading because there’s a new Supreme on the rise? Martin Freeman Grapples With The Decision to Procreate in New FX Show BreedersFor those viewers feeling the need … the need to breed. American Horror Story Recap: Stevie Nicks!From now on, every AHS episode should feature a 10-minute musical performance. Jemaine Clement and Taika Waititi Reveal Their Vampire Origin StoryIt involves stand-up comedy. American Horror Story: Apocalypse Recap: Could It Be … Backstory?Michael Langdon is maybe, probably, definitely Satan. American Horror Story: Apocalypse Recap: Surprise B!The Coven is back and they are taking names! American Horror Story: Apocalypse Recap: Rubberman Can!There are still no witches. Where my coven at? AHS: Apocalypse Trailer: It’s the End of the World, and Sarah Paulson Feels FineCoven and Murder House cross over in the latest FX series. Mayans M.C. Co-Creator Elgin James Is No Ordinary ShowrunnerHe’s been a Sundance darling, a prison inmate, and the leader of a hard-core punk gang. Now, he’s making a TV show. Mayans M.C. Doesn’t Quite Measure Up to Its PredecessorKurt Sutter’s Sons of Anarchy follow-up is a show with its own personality and focus, though by no means a great one. American Horror Story Is Back, Now With Demon Fetuses, in Teaser for Season 8Creeping back September 12. In the End, Marvel Killed Donald Glover’s Deadpool Animated Series, Says FX CEOThe Atlanta star had previously made it clear he was not too busy to work on the adult animated series he wrote with his brother. Pose Season 2 Will Time-Jump to the ‘Vogue’ EraBut will it have a Madonna cameo? Chris Rock to Star in Fargo’s Fourth SeasonNext season will follow two family mobs in 1950 in Kansas City, Missouri. FX Orders Alex Garland Sci-Fi Mini-series With Nick Offerman and Sonoya MizunoFX also ordered a limited series based on James Clavell’s Shōgun. Sam Rockwell and Michelle Williams To Star in FX Limited Series Fosse/VerdonLin-Manuel Miranda will produce. 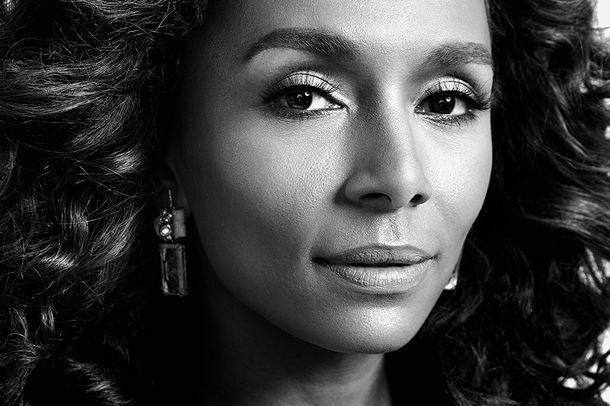 Pose Is a Deeply American Story of Self-CreationThis is a powerful show about family as ideal, reality, and metaphor. Mayans M.C. 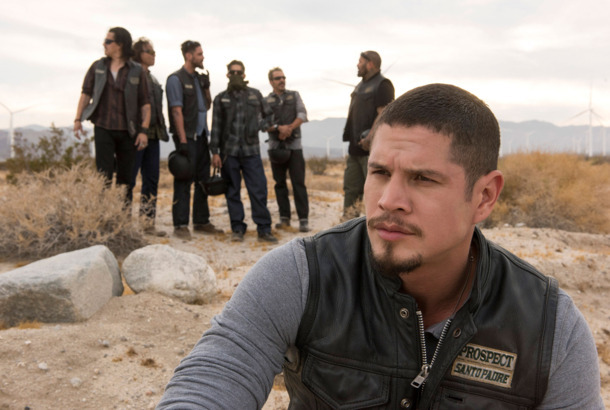 Trailer: FX’s Spinoff Sons of Anarchy DramaPremiering September 4. Snowfall Season Two Is Like a Solid ’80s B MovieIn its second season, FX’s Southern California drug epic makes some notable improvements. The Ball Will Continue! FX Renews Pose for Season TwoSissy that walk.